Not all loved ones walk on two legs. In 2017, the ASPCA reported 78 million dogs and 85.8 million cats were owned as pets in the U.S.; and that doesn’t even include the birds, reptiles and a large number of other animal kept by Americans! 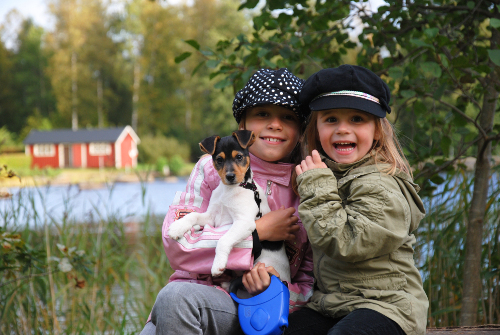 In fact, nearly 68 percent of the country’s population owns at least one pet. Just as important as keeping your human family safe, is the safety of your pets, especially when your home is on the market. Try these expert tips for protecting your pet family members next time your home is being shown. One of the biggest issues with showing a home with pets is the potential for these pets be let loose by mistake, whether from the house or yard. A way to prevent this from happening is simply to remove your pet from the house while showings are taking place. For some, this may be as easy as taking the dog for a walk around the neighborhood, if not with you, then with a neighbor or trusted friend. The average showing takes about 30 minutes to complete. This is plenty of time for you and your fur baby to stretch your legs and take in the scenic views of your lake while potential buyers check out your home. This is also a great time to take your pup to the dog park, where he or she can run and play with other dogs instead of going on a solitary outing. Your pet will be happy for the exercise, and your potential buyers will be happy to tour your home without distraction. For others, like cat, bird and reptile owners, going for a walk isn’t really practical. Cat owners especially experience pet safety problems when showing their homes because doors are not always closed in a timely manner. An easy way to ensure your cat doesn’t get let outside is to post signs on all the doors, kindly reminding guests that the cat is not to be let out. These reminders should be easily read and featured at eye level on the backs of front, rear and garage doors. Reminders should also be posted on the front side of each of these doors. By doing this, potential buyers and agents are kept mindful of your pet’s presence and well-being. Additionally, reminders can be hung from bird, reptile and small mammal cages. Though it is unlikely that someone would willingly open one of these, accidents do happen. Having reminders placed where they can be seen easily will also serve to keep guests aware of your animals’ safety. Some smaller dogs and cats can be crated while a home is being shown. If going with this option, it may be beneficial to put the crate in a less trafficked area like a bathroom, guest bedroom, or garage. In these areas, your pet is less likely to experience any undue stress or disruption. It may be a good idea to also cover crates or carriers with a blanket or something similar. Additionally, posting a note on the cage or carrier asking potential buyers and agents to not disturb the animal will help keep your pet from unnecessary handling or attention. It is also a good idea to let guests know that an animal is being kept in a certain area of the house. This can be achieved by alerting the showing agent prior to the showing, putting a note on the front door of the house or by putting a sign in the area of the house where the pet is being kept. For larger animals, animals with particularly strong odors or animals who make a lot of noise it is best to relocate while a home is being shown. One potential solution is to enlist the help of a friend, family member or neighbor. While the house is on the market, your fur, feather and scaly babies can stay with these people at their homes and in their care. By leaving your pet in the care of someone you know, you can ensure they are properly taken care of, and most importantly loved. If finding someone you know to take care of them is not possible, there is still one last, more unfavorable option, and that is sending your animal family member on a vacation. While it is certainly difficult to be apart from your pet for any extended period of time, for some, this is the best option. Sellers who utilize this option include those who travel a lot for work, who are temporarily residing elsewhere while their home is on the market, and for sellers who are vacationing outside the state or country. There are many animal resorts and spas your pet can enjoy. These facilities offer short and long-term boarding, pet grooming and other pet care services. If you decide this is the best option for you and your pet, be sure to do your research about the best facilities in your area and any boarding requirements they may have. For more tips, look to this expert list of things you should do before you board. A few final things to consider when showing a home with pets include not keeping animals outside, chained up, or loose in the home or garage. No matter the option you think is right for you, at the end of the day, your pets’ safety, happiness and well being is what matters most. 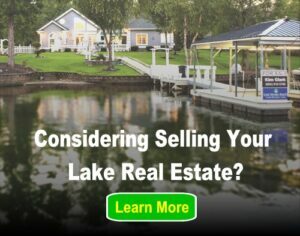 For more Lake Homes Realty pet news, feel free to read our Pet Travel, Invisible Fence and Must-Have Dog Toys articles. Next post: Weekend Fun: Charity Poker Runs Across the U.S.